 The GNI Board of Directors is responsible for the strategic direction and fiduciary operations of the initiative. The GNI Board is composed of ten representatives from companies, five from civil society organizations, two from the academic community, two from the investor community, and an Independent Chair. There is one additional seat for an academic or investor representative, alternating between the two constituencies every 18 months. Each Board member also designates an alternate Board member from within its organization or constituency.